The Pirates' Tale: Fickle Fans - Wouldn’t football be better without them? Fickle Fans - Wouldn’t football be better without them? After all, they are the one’s who moan and groan the minute things go wrong and the one’s who think their club is the best in the world when results are going well. Pressure on the managers’ and teams are at an all-time high with instant on-field success vital. I can’t stress the word instant enough. 3 games into a season and already teams are being booed off for poor performances. 3 games! All football fans know that teams go through patches of form, whether it is good or bad. It happens; that’s football. Any team can perform poorly in three consecutive games; Barcelona, Arsenal and Chelsea have all done it. It’s the ability to go through equally as good patches and consistency that determines the quality of a side. Consistency is such a key word; often teams who do have consistency, both on the field and off the field, are more successful in the long-term. You only have to look at David Moyes and Alex Ferguson as prime examples. In the time Alex Ferguson has managed Manchester United for 1000 games, Bristol Rovers have had 20 managers. New jerk reactions get you nowhere in the long-term. So why, after just three games of football, are some fans moronically booing players off the pitch. 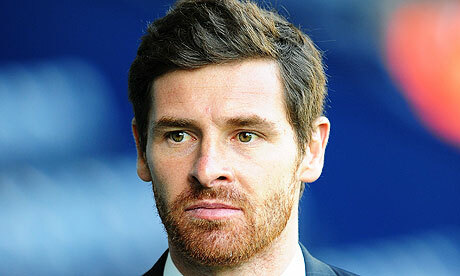 Andre Villas Boas’ Spurs side was one of them. Granted they’ve started poorly, but they’ve only been beaten by a strong Newcastle side. They are still adapting to a new manager, a new style of play and multiple comings and goings. Spurs management and players know they have to improve but with the quality they have, it’s only a matter of time. I think Spurs need to forget his time at Chelsea because it didn’t go well there. But he is young and learning from his mistakes, he knows it can’t end like it did at Chelsea or his managerial career in England is all but over. I remember a certain Mr Ferguson was very nearly sacked but Manchester United held faith with him and the rest, as they say, is history. Another example is much closer to my heart; Bristol Rovers. Those who read my posts and tweets regularly will know this. But like Spurs, after just 3 games we were booed off after, I must say, a poor performance against Morecambe with just one point from nine so far. The reaction of ‘so called’ fans was a disgrace to the club. As I said previously, anyone can play poorly for three games. We were poor in the second half against Morecambe but we were very unlucky not to get the 3 points at Wycombe for obvious reasons and by all accounts we should have beaten Barnet. However, regardless of this, fans are supposed to ‘support’ the club and stick with them through the tough times; I wouldn’t even describe these as tough times. That’s how fickle some of the Rovers’ supporters have been. Just one week ago the Rovers’ fans were saying that we needed to use the Wycombe injustice to boost our season and that they’d never seen a Rovers’ fan base so united. One loss later and the mood amongst fans couldn’t be more different. There is a split in the supporters’ mentality; there are the fans that moan as soon as things go ever so slightly wrong, then you have the more tolerant fans that are willing, as they should be, to give McGhee much more time. Mangers can go from being a messiah to brainless in just three games. A quote from one Rovers forum I read last night sums up my point, ‘We have a defence that cannot a defend ,A midfield that cannot create chances and A strikeforce that cannot score goals’. We named an unchanged lineup from the Wycombe game in which some fans branded us as brilliant and that we tore through Wycombe, yet one game later supposedly the players are all useless. I will also never understand why fans would boo after three matches. I just can’t see the reasoning behind it. I know that everyone’s entitled to their opinion but when we all support the club and therefore want the best for our team surely they know it doesn’t benefit the side. So why don’t they keep it to themselves? The argument that fans just want to let the players know that they aren’t happy is also ludicrous; the players aren’t disillusioned. Irrelevant of what club you are, the players are never going to be happy with a 3-0 loss. They know they’ve performed poorly just as much as we do. When fans go onto forum and post derogative statements, stating how we can win ‘for sure’ and ‘why doesn’t the manager do this’, it’s almost as if they’ve suddenly become mini-Mourinho’s. Do this, do that, that’s how we win. When in reality, they have as much clue about tactics as Ian Dowie’s little toe. The fact that fans chanted ‘'you don't know what you're doing' to Mark McGhee, a man who was managed over 600 games, tells you all you need to know. When fans start abusing players I despair. What makes you feel the need to verbally abuse one of your own players? They are trying their best to get the maximum results for your club, sometimes it isn’t possible. You wouldn’t want someone coming into your work swearing and shouting at you when you know full well that you’ve done all that you can and fallen short. Players are humans, like us, they want to succeed; they have feelings and they can hear the foul language aimed at them. How does that help boost the players’ performance? It only pushes their confidence lower and lower making good performances all the more unlikely. It’s just a way of some small minded thuggish supporters releasing their frustration onto players rather than dealing with it themselves in a professional manner.